I am trying to downgrade my notebook from Win 10 to Win 7 64 bit. I have downloaded the driver fom the HP support Website. Whitch driver i need to install to fix it. protection to function properly. This package is provided for supported notebook models running a supported operating system. If the unknown device has a hardware ID of ACPI/INT3400, then the first driver should also install that device too. Hi, Thx for coming back quickly. I downloaded ftp://ftp.hp.com/pub/softpaq/sp71501-72000/sp71638.exe and installed. At the end of the Installation win 7 mentioned that the program was not install sufficient. I was able to install the latest driver what you propose. Please post the hardware ID's for the other 2 unknown devices. To find the hardware ID, click on each unknown device. Then click on the Details tab on the unknown device window. 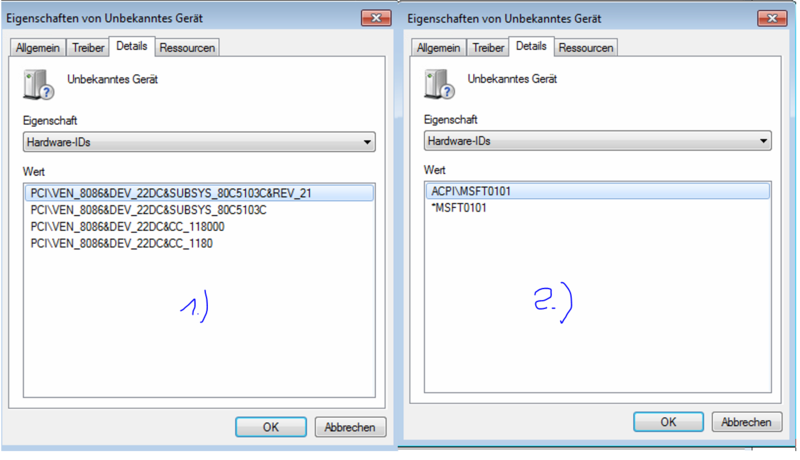 The left side one (22DC) is also part of that intel thermal dynamic system, so try manually installing the driver like you did for the other ones (using my trick). Thx - i am having troubles with this "OS" fix. If you can't get the hotfix to work, I have zipped up and attached the driver below. See if my TPM 2.0 driver works on your model. 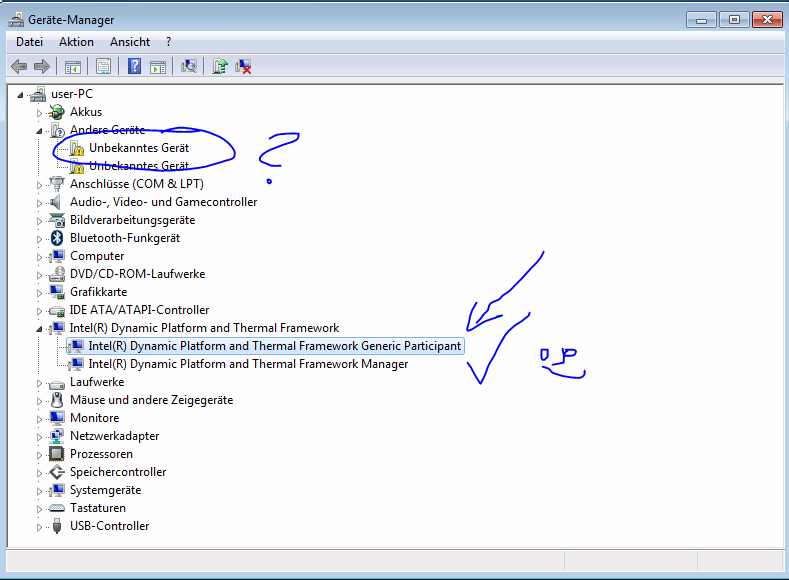 You install it by the same manual method you did for the Thermal Dynamic driver. Download and unzip the file I attached to its folder. Do not do anything with the files in the folder. Click on the unknown device needing the driver, click on the driver tab, click on update driver, select the Browse my computer for driver software option, browse to the driver folder you unzipped, make sure the include subfolders box is checked and see if the driver installs.